Torino striker Andrea Belotti has emerged as a surprise target for Arsenal ahead of the winter transfer window. 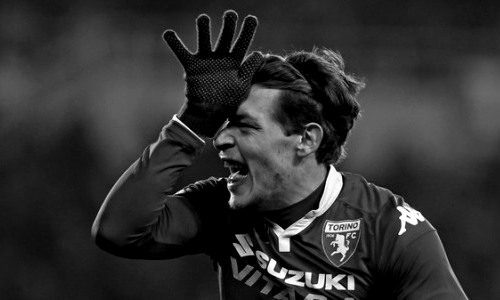 Arsenal are linked with Torino striker Andrea Belotti, according to the football transfer rumours in English Media. Andrea Belotti signed for Torino from Palermo for a fee in a region of 7.5 million euros in 2015. Since his arrival from Palermo, Italy international has scored 26 goals and provided nine assists in 54 games for Torino, including 14 goals and provided four assists in 18 games in all competition this season. Andrea Belotti’s fantastic form is the main reason for attracting interest from Arsenal manager Arsene Wenger. Premier League giants Chelsea and Liverpool are apparently trailing the Gunners in the pursuit of Torino forward. Torino will hope to keep hold of their prized asset until the summer at the very least. Euro Football Rumours were informed that Arsenal has already discussed a potential deal with Torino representatives. Torino are valuate Andrea Belotti around 58 million euros.